France in London | Who likes going to the dentist's? Who likes going to the dentist's? Rrrrrrrr is the noise of the turbine handpiece noise... Who likes going to the dentist's? And yet, good oral hygiene can prevent many problems and more visits to the dentist's. It is well known that on average, French people only use 3.5 tubes of toothpaste per year, when in reality, they should need 6. Brushing teeth is key to the beauty of your teeth !!! The recommended frequency is twice a day and no less than 2 minutes each time ... It is strongly recommended to use a soft toothbrush or, even better, a good electric toothbrush such as the Sonic toothbrush crowned best electric toothbrush by Which? Magazine. The key is that bristles are soft so that it is easier to clean all areas including in between the teeth!! For beautiful teeth, what are the treatment options available? ""We see more and more patients coming to our practice, not because people experience pain but because they want to improve their smile. They want us to give them more beautiful teeth » said Dr Sadone, french dentist in London, from the Queen's Gate Dental Practice. Bleaching has become very common and the treatment of choice. This is actually a growing part of many Dental Practices! 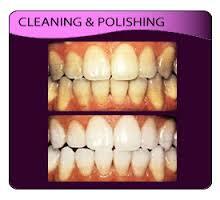 Dr. Patel and Dr. Sadone also from the Queen's Gate Practice tend to offer first a teeth cleaning with a jet polishing and if that's not enough and if they believe that the treatment is suitable for you, they might show you how to do a bleaching/whitening at home using a mouth guard! 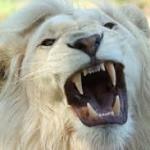 "We do a lot of whitening for brides and grooms. Most often, it is the bride who comes alone to surprise her future husband with a wonderful white smile! ", points out Dr Patel. There are times in one’s life when having beautifully white teeth is even more important than at other times: for your weeding is definitely one of them. So why not have a couple consultation to get those beautiful white teeth for the pictures on your big day? It is worth noting however that some patients have permanent stains on their teeth due for example to tetracycline or to excessive intake of fluoride as a child. In the practice, Dr. Patel and Dr. Sadone then propose a bleaching treatment first. If the treatment doesn’t work, then they can offer veneers. Veneers are like false fingernails that are fitted to the surface of your teeth to give you a perfect smile. Veneers can change shade, shape and even the position of the teeth. Together with your dentist you can then choose the desired shade, shape of the teeth and even the shape that you want to give to your smile. 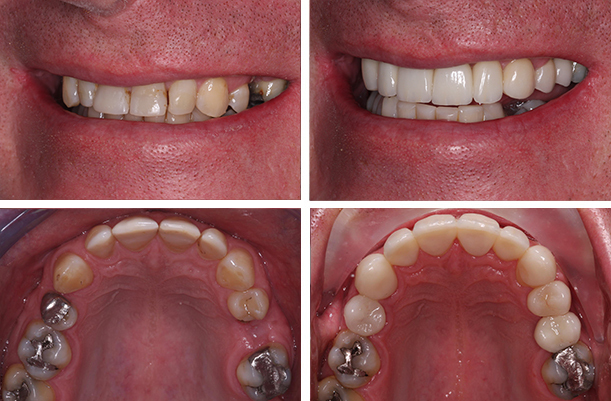 In two sessions, patients can smile again with the teeth of their dream. There people who have never had any orthodontic treatment as a child eventhough they could have benefitted from it and it is never too late. If you are and adult and have crowded or poorly aligned teeth you can still have an orthodontic treatment. Everyone knows how the classic orthodontic treatment works with visible rings. At Queen's Gate Dental Practice, Dr. Jean-Joseph, of course, offers conventional orthodontic treatment but she also knows that adults would prefer for their treatment to be invisible. This is why she also offers invisible aligners called "Invisalign". 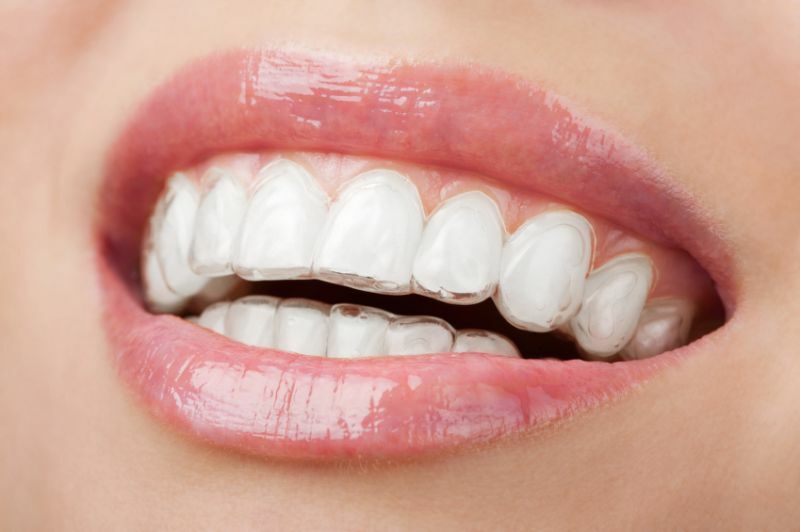 Invisalign treatment aligns the teeth with simple almost invisible clear aligners! Dr Jean-Joseph provides her patients with different sets of aligners that need to be change every 2 weeks. Different solutions are possible to replace a missing tooth. But more often, the best solution is the dental implant. The implant is an artificial tooth root made of titanium inserted into the jawbone. J'ai pu trouver un dentiste super sympa sur Findoc que je recommande vivement. Lionel Friedmann.